The name “Hibbat Zion” includes a number of Zionist organizations that were established in Eastern Europe at the end of the 19th century. They believed in having Jews come to settle the Land of Israel. The “Hovevei Zion” movement began spontaneously in several places, with no formal organization. Tens of such unrelated “Hovevei” Zion groups sprung up in Russia, Eastern Europe and Central Europe. Yet they all shared a common goal. They all believed in the need to “ascend” to the Land of Israel, to settle it, to work the land and finally, to establish a Jewish state. The members of these groups came from different streams, from assimilated Jews to famous rabbis, but their common aspiration was the return of the Jews to the Land of Israel. These groups had many different names, including Brotherhood of Zion, Lovers of Zion, Sons of Zion, Return to Zion, Love of Zion, Kibbutz Nidchei Israel, The Remnants of Israel, Ezra and Zrubavel. By the end of 1881, more than thirty “Hovevei Zion” organizations were founded in Romania. The “Storms in the Negev”: From 1881-1882 there were pogroms in Southern Russia which were called the “Storms in the Negev”. More than 200 Jewish communities were attacked with the encouragement of the government. These pogroms caused the Jews to seek solutions to their problems. Some moved to the United States while others organized into groups of “Hovevi Zion”, which concentrated on finding a solution. The refusal to grant citizenship to the Jews of Romania: Romania, which was established in 1859 had promised to grant emancipation to the Jews. However, they did not fulfill this promise and wrote in their constitution that only Christians can receive citizenship. The Jews’ disappointment led them to look for other channels, outside of Romania. The reaction of Jews to the emigration of Jews to the United States: The fear that Jews who emigrated to the US would assimilate into the American society was one of the reasons for the awakening of a national movement. There was an attempt to sway these people to move to Israel rather than to the US. The link to the Land of Israel: The desire of every Jew to return to the Land of Israel and await the coming of the Messiah. Russian anti-Semitism caused a reawakening of the desire to “ascend” to Israel and establish a Jewish state. The awakening of nationalism in Europe: Throughout the 19th century, a wave of nationalistic revolutions, known as the “Spring of Nations” swept over the people of Western and Central Europe. This awakening also brought about a similar nationalistic awakening among the Jews, who wanted to establish a Jewish state In the Land of Israel. The term self-emancipation means the freeing of oneself. That is the name of the book written by Dr. Yehuda Leib Pinsker, one of the leaders of “Hovevi Zion”. The book was written in order to awaken the assimilated Jews of Western Europe who were fighting in vain for equality, however, it actually awakened the Jews of Eastern Europe. Pinsker called to the Jews to establish a national home in Zion. On the first page of the book, Pinsker quoted Chazal, the sages: “If I don’t worry about myself, who will? If not now, when?” Pinsker included in his work several reasons why other nations hated the Jews. The first reason is a psychological national one: The Jewish people lack the basic conditions which define its way of life as that of a nation. Therefore, its sons are not on an equal footing with the other nations. The Jewish people doesn’t have a homeland, a center of gravity, a government or official representatives. As the Jews lack these components, they are despised by the other nations of the world. There is no mutual respect between the Jews and the other nations, rather there is fear. The Jews fear that the other nations will try to annihilate them, while the other nations fear the Jews because they don’t manage to wipe them out .Pinsker called this fear Judophobia and he defined it as a disease which has its roots in the unique position of the Jews since they didn’t have a state. Already in 1882, the first year of the national awakening, the newcomers to Israel, with the help of the organizations, established three villages: Rishon LeZion, Zichron Ya’akov and Rosh Pina. In 1883, they were joined by Ekron, Yesod Hama’ala and Ness Ziona. These villages were founded mostly by immigrants from Russia, Poland and Romania. In 1884, Gedera and the Bilu’im were established. Ten years later, the movement had already established fourteen villages in which there were approximately 3,000 people. 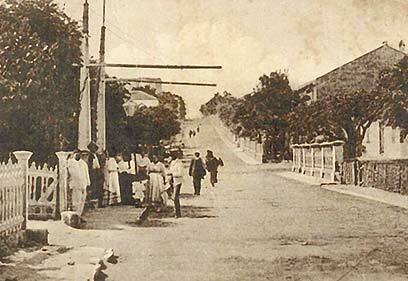 Petach Tikva might also be added to the villages that were established with the help of “Hovevi Zion” although it had been founded earlier, in 1878. However, the first settlers left in 1881 after many died of malaria. In 1883, Jews from Bialystok renewed the settlement. 3. To lobby the Turkish government to allow Jews to settle in the Land of Israel. The conference chose Rabbi Samuel Mohilever as the honorary president of the movement, Dr. Leon Pinsker as the president or chairman and M.L. Lilienblum as the secretary. This was the third and last conference organized by “Hovevi Zion” before the Odessa Conference. It was decided to replace Lilienblum and Pinsker in order to imprint a true Jewish character to the movement. One of the decisions reached at the conference was “to send someone to explore the colonies (the new settlements in the Land of Israel)”. Rabbi Mohilever took on the mission and when he returned, he published a detailed and special article in which he wrote of his travels and his conclusions. He was among the leaders of the Enlightenment in Russia until the pogroms of “Storms in the Negev” changed his perspective. He stopped believing in assimilation and saw the Jews’ otherness in different countries as the Jewish problem. He believed that the solution to the problem was for the Jews to have their own country. Anti-Semitism will not disappear and the Jews will always be hated. The Jews were hurt by the rise of the working class, which saw the Jews as exploiters and thieves. Religious reforms, assimilation and Enlightenment solved nothing because the Jews were persecuted because they were Jews, whether religious or secular. Assimilation could be a solution for individuals, but not fir the Jewish people. Therefore, the solution was for Jews to “ascend” to the Land of Israel. He was an educated, assimilated Jew from Odessa. He served as a doctor in the army and volunteered in the Russian army during the Crimean War, where he received a medal of honor. The pogroms of “Storms in the Negev” caused a change in his thinking and he began to search for a national solution to the problems facing the Jewish people. In 1882, Pinsker published a book which contained some of the founding principles in the history of Zionism. The book, Autoemancipation, hoped to awaken the rich Jews of Western Europe to help establish a nationalist movement. However, the book awakened, mainly, the poor Jews of Eastern Europe. The “Rabbi of Bialystok” was one of the greatest Russian rabbis and one of the founders of the first “Hibat Zion” organizations. He worked for cooperation between the enlightened and the religious people. He tried to influence the secular leaders to prevent harming religion and the pioneers. On the other hand, he tried to bring about an acceptance of the idea of “Hibat Zion” and the settling of the Land of Israel among the rabbis and the traditional sector. He was one of the first to wake up to the need of the hour and devote himself to the idea of settling the Land of Israel. Right after the pogroms of 1881, he traveled to Lvov to try and influence the public leaders to take action on the matter of settling the Land of Israel. There he introduced himself to Oliphant, the famous Englishman, who had been very active in “The Alliance israélite universelle”. His enthusiastic words fired up Parisian businessmen who helped him gain entry to the heart of the Baron Edmond Rothschild, The Famous Benefactor”, whose work and charity contributed greatly to the “Yishuv” in the Land of Israel. 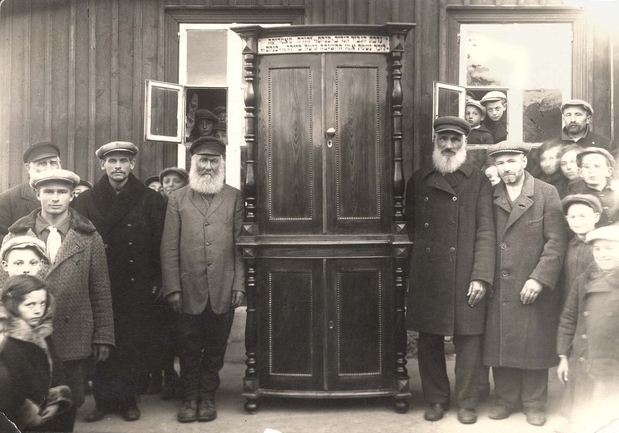 Upon returning from Lvov, Rabbi Mohilever went to Warsaw, where he organized a meeting at which the first organization of “Hovevi Zion” was founded. Two important rabbis joined him there: Rabbi Eliyahu Ḥayim Meisel from Lodz and Rabbi Joseph Bar Soloveitchik from Brest. The three issued a public appeal asking the Jewish people to support settling the Land of Israel.